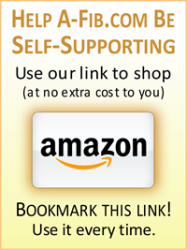 Recently I got good news from Joann Sickinger. 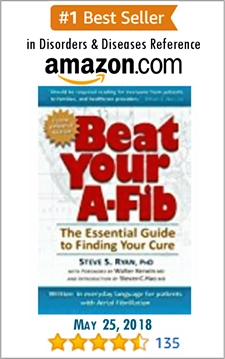 She wrote me about controlling her A-Fib with drug therapy. 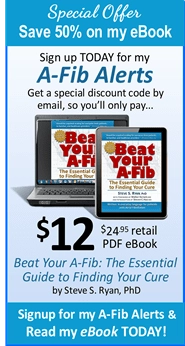 She has been almost A-Fib free for 2 years and has not experienced any side effects. She has been taking Multaq (dronedarone) 400 mg twice a day, along with metoprolol 12 1/2 mg once a day and Xarelto 15 mg once a day. Thanks, Joann for sharing. I’m glad you are aware that drugs often stop working over time and that you are prepared to have a catheter ablation if that happens. (With a successful ablation, you may be able to stop all medications.) We wish you continued good heart health! Do you have a drug therapy story to share? Are drugs working for you? 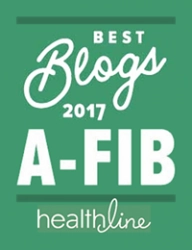 Are your A-Fib symptoms under control? 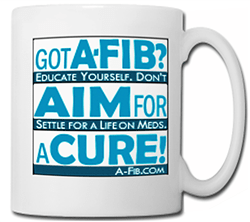 Or, have A-Fib drugs been ineffective or with side effects? 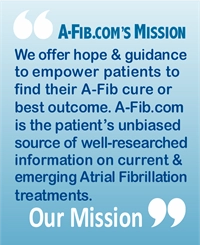 Email us and share your experiences with our A-Fib.com readers.